For some of the country’s older cities, small improvements in infrastructure can make large improvements in people’s lives. That’s one of the operating principles behind Code for America, a non-profit group that helps provide cities with expensive coding talent. The program sends teams of 4 fellows to major cities around the country – Boston, San Francisco, and Washington D.C. have participated, among others – to help improve each city’s web presence. But the fellows aren’t doing basic window dressing – they’re creating databases and code to benefit city residents, from information on housing assistance to fixing potholes. 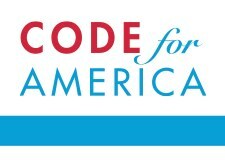 Code for America doesn’t offer much in terms of salary for a computer whiz – participants in the program get a $35,000 fellowship stipend a year. But CFA offers other benefits: The fellows get to see their work actually benefit the lives of real people who could use a helping hand. Though the program is small, it has big aspirations. The solutions the fellows are able to create for specific cities will later be scaled and shared with other towns across the country.